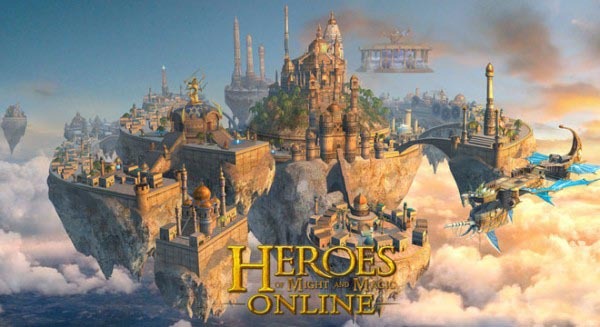 Today marks the opportunity for players to become a legendary hero in the first MMORPG from the incredibly popular Heroes franchise with the release of Might & Magic Heroes Online. Ubisoft today announced that Might & Magic Heroes Online has now officially launched in English speaking territories with free access to the fully localized version developed by Blue Byte. The release follows a lengthy beta period in which players enjoyed a multitude of exciting new features including siege battles, forgotten site quests and the community favorite player versus player arena mode. Blue Byte have taken player feedback into consideration and made several changes to make Might & Magic Heroes Online one of the most accessible titles in the franchise, making it the perfect title for those still waiting for their introduction to the Heroes world. Boasting a visually stunning game world, the classical turn-based combat of the Heroes franchise and various MMO inspired features such as guilds, friends lists and cooperative play, Might & Magic Heroes Online is one of the most exciting launches the IP has seen in years. Players can battle amidst the Haven and Necropolis factions, recruiting fantastical creatures and collecting magical artifacts to aid with their war marching efforts. Sound interesting? Check out the official website for more information.